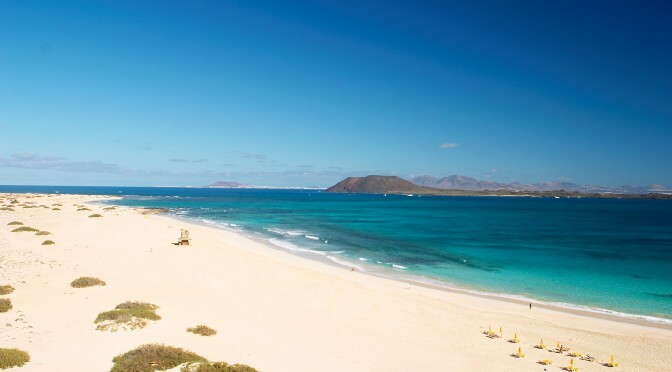 The island of Fuerteventura is a rough diamond, large and wild, with endless beaches to enjoy sunbathing and cristal clear warm waters, where you can play with the waves on the shore, with shovels in the sand or have fun making sand castles. 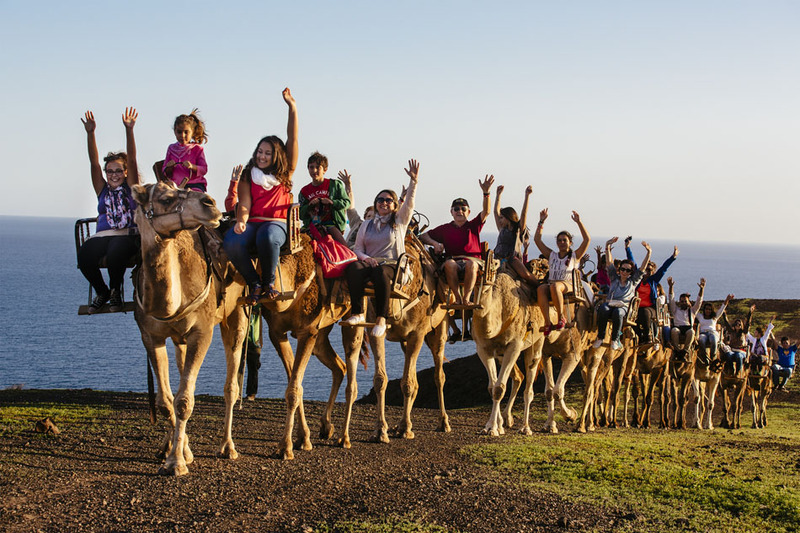 If you visit the island with your children, nephews, children of friends … it’s good for you to know some of the activities you can do with them, so these become memorable and enjoyable holidays for everyone. 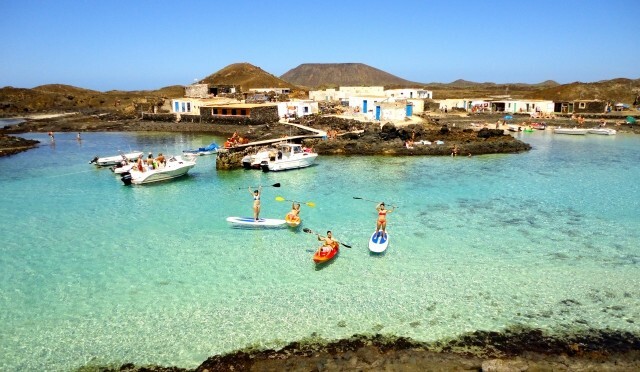 Visiting the island of Lobos, northeast of Fuerteventura, on a catamaran is an activity that kids love, because it is designed for the fun of the whole family. 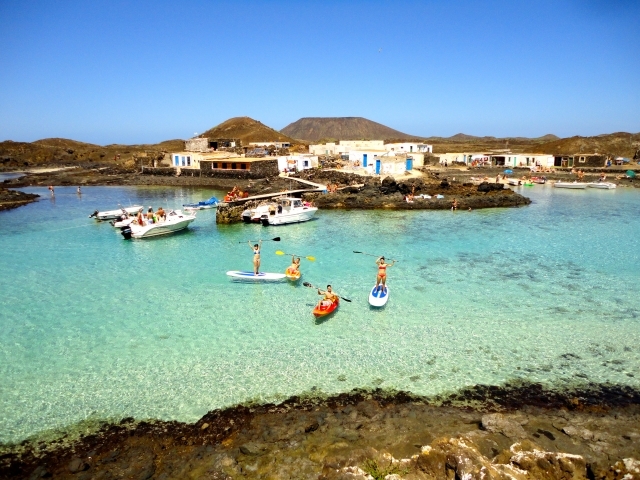 With FuerteCharter, young apprentices will take the helm as true masters, enjoy snorkelling and feeding the small fish from the clear waters of Lobos; they can practise Stand Up Paddle, Kayak, jump into the water in many different ways, and have photos of the whole experience. Fun is guaranteed! 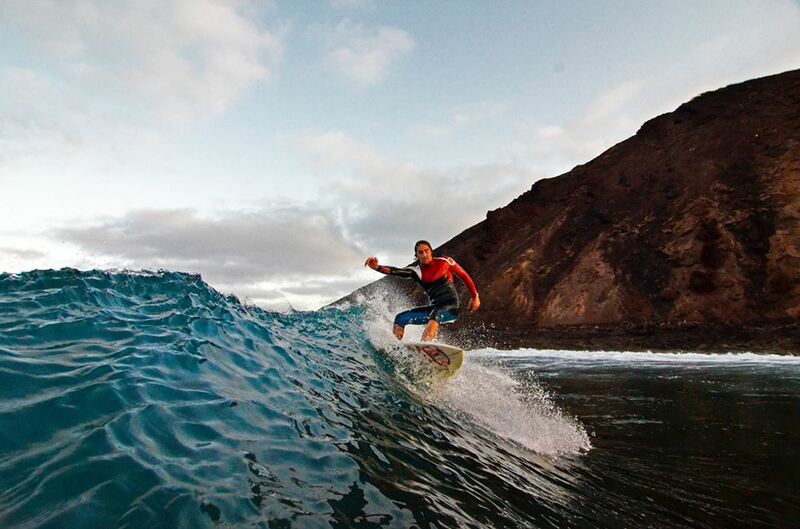 The coast of Fuerteventura invites to water sports, highlighting surf as star activity. It’s true it looks like a simple sport, where simply having a table the children can play in the waves on the shore, but on the other hand is a risky sport, because of the currents on beaches, and it has a technique which is very difficult to learn by oneself; so from here we encourage you to contract some surfing lessons for children, because it will be much safer, they will learn more and this will also mean a few hours of relax for parents, leaving their children to instructors, if they want, or perhaps they take heart and sign up for surfing lessons, to share this fun activity with their children. 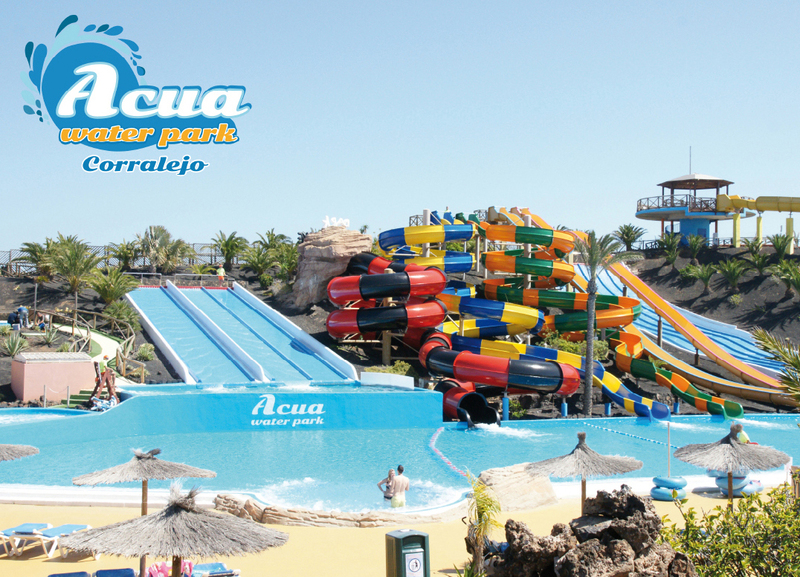 In the town of Corralejo, you can find this water park with various swimming pools and water slides of different heights and levels of difficulty. There are shallow pools , where the youngest children don’t stop splashing, pools where you can dive and swim, for those who want to be more relaxed, and swimming pools with different attractions, so that the liveliest ones can vent as much adrenaline as possible . There is also a giant jacuzzi and a pool with wavelets. 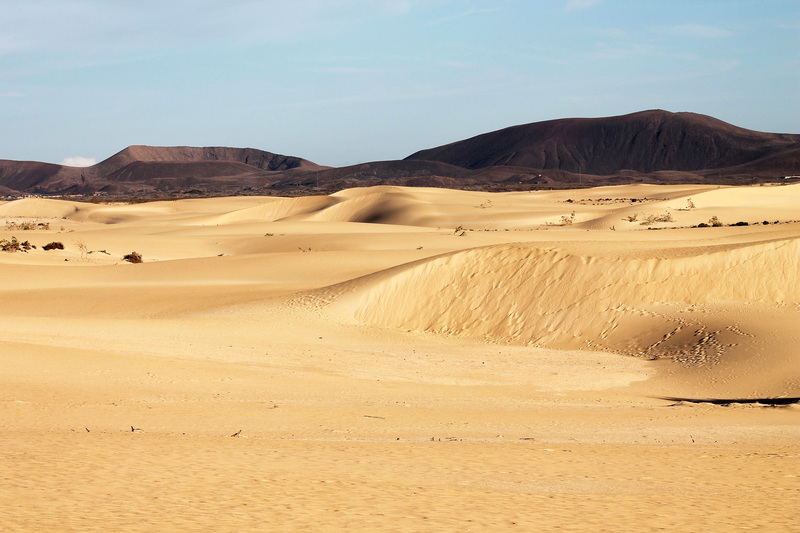 The volcanic and semi-desert landscape of Fuerteventura is ideal for an excursion by quad. There are many companies that will take you for a ride in these vehicles, among volcanoes. For the youngest guests, there is a closed circuit in Corralejo, so they learn to drive buggies by themselves, safely. In Oasis Park we find the largest camel preserve in Europe, so you can enjoy riding them, and children can also learn how the food that feeds them is cultivated, and you’ll also be taught some interesting facts about this species such as that camel milk has very positive properties for humans, because, among other things, it regulates the levels of sugar in our blood. The youngest ones will be able to take a pony ride, and there are playground areas with trampolines. Inside the park, you will also find a spectacular botanical garden, that will appeal to children and adults alike. 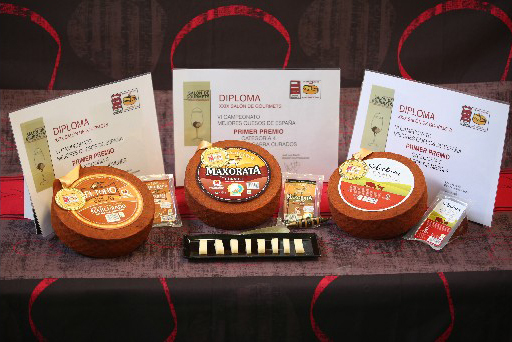 Also, on Sunday you will enjoy a craft market, with organic food: fruit, vegetables, cheese … and craft stalls. 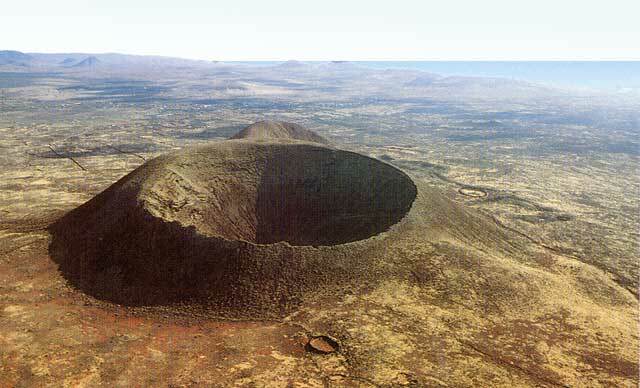 If children are older than 5-6, a really fun and interesting activity is to climb to the top of a volcano. 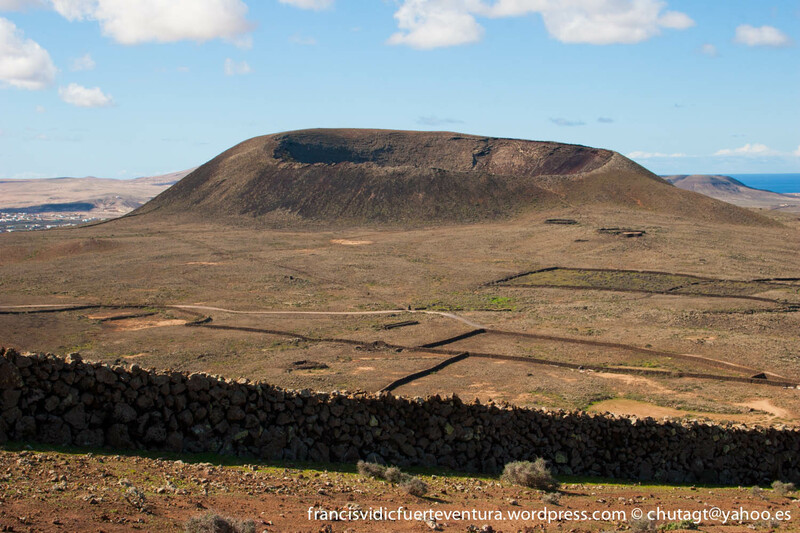 The volcano of Lajares, Calderon Hondo, has a path leading to the top, from which you can see a perfectly circular volcanic caldera, plus stunning views of the north of the island of Fuerteventura. Happy holidays with your little ones! 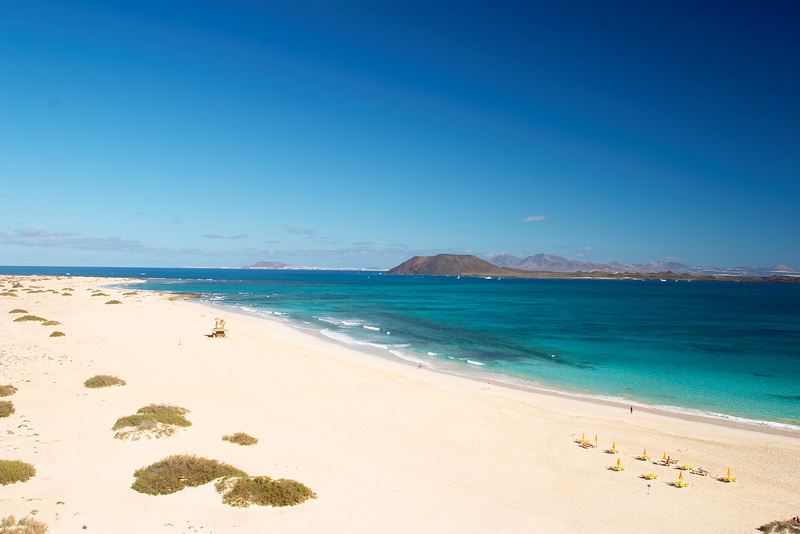 At this point in your trip to Fuerteventura sure that you’re completely in love with the island. 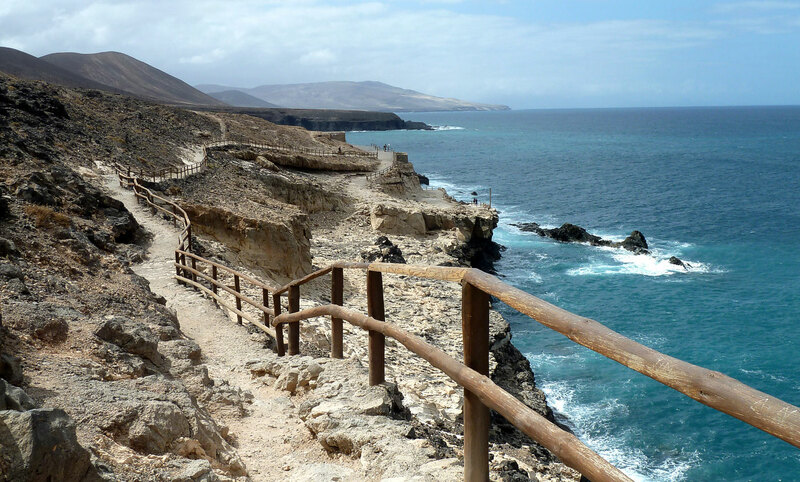 For the fourth and final day of tour, we suggest a trip to “La península de Jandia”, south of Fuerteventura. And as yesterday you already visited the central part of the island, we suggest taking the FV- 1 road, so you can discover all the charms of the east coast, with nice sea views. Leaving Corralejo you cross the Natural Park of the Dunes, which you already visited on the first day. The golden shades of sand dunes, on your right, and turquoise and crystal clear waters, to the left, will mark an exceptional landscape in these first kilometres of the journey. In this direction you will cross Puerto del Rosario, the capital of the island since 1860, and if you keep heading south along the FV-2, you will get to Gran Tarajal and then to Costa Calma, where you can enjoy the beautiful beaches of Sotavento which host one of the World events of Windsurfing and Kitesurfing in the months of July-August on the amazing beach of La Barca, characterized by a barrier of sand that forms a big lagoon ideal for practising water and wind sports. Costa Calma is a village in the Isthmus of La Pared (narrowest part of the island, about 5km from the east to the west coast). In this area “La pared de Jandía” is located, a pre-Hispanic construction of dry stone (0.8m high and 0.5m thick) of which only some parts are preserved. Different hypotheses tell about the functionality of this wall, one of which states that, in ancient times, it separated the two kingdoms of the island: Maxorata (north, under the mandate of Guise) and Jandia (south, under the mandate of Ayose), although there are other theories that weaken this hypothesis, by placing the separation between the two kingdoms further to the north. Continuing along the FV-2 we’ll get to the town of Morro Jable and at this point the road ends and, for the most daring, a dirt road (in good condition) starts, which leads us to the Puerto de la Cruz (end of the island of Fuerteventura), with its characteristic settlement of caravans and beautiful lighthouse which brings together the waves of East and West, breaking at this end in the shape of Y. The whole area around the dirt road (Natural Protected Reserve), is full of beaches, calm water (on the east coast), where the famous Playa de Juan Gómez stands out for its heavenly beauty, or the beaches we find after the lighthouse, such as the beach of Los Ojos, whose picture you see on the cover of this post. 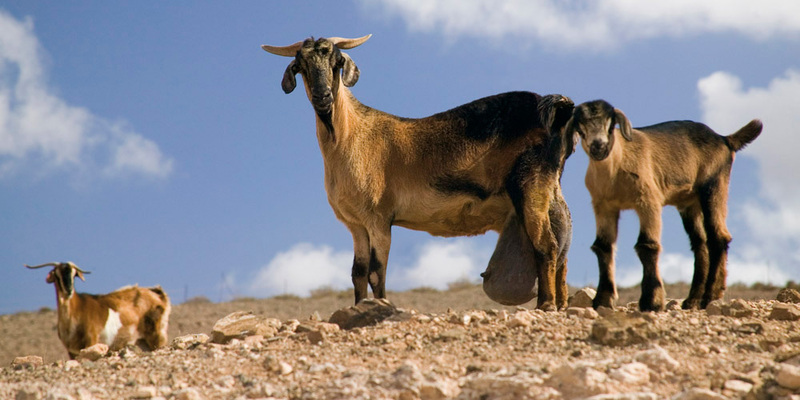 Just on the opposite coast, in the west, we find the long and wild sandy beach of Cofete, a real shock for the senses. The dirt road goes along a steep winding path which reaching the top reveals a breathtaking landscape: the long beach of Cofete from the top of the cliff; so long a beach that the sight cannot reach its end. On the hillside leading down to the beach, as a witness of the passing of time, the enigmatic and seductive Villa Winter rises, a house in shape of turreted castle belonging to the German engineer Gustav Winter, built in the Jandia Peninsula back in the 30s, and there are different legends surrounding it, some of which relate it to the Hitler regime, but there are records that ensure that Gustav Winter didn’t do his military service in Germany nor is there the slightest suspicion of collaboration with the Nazis. 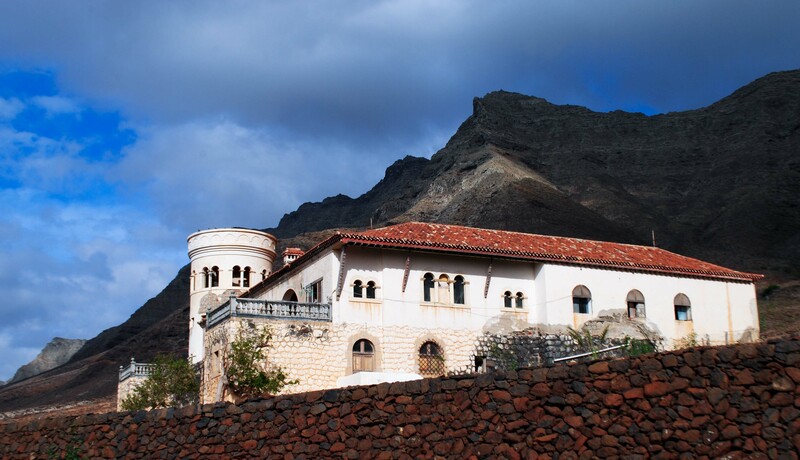 In the village of Cofete there is a small museum that documents photographically part of the history of this mysterious Villa, and the most daring can try knocking the gates of the house and maybe they can come to discover the rooms of such unknown castle. And after such a long journey and so many stories, it is time to resume the return to the north. There are still many treasures to be discovered, like climbing “El pico de la zarza”, that you find in Cofete beach from a height of 800m, cross Pecenescal ravine, where through a huge sandbar you reach some white cliffs ending in the sea, discover “La Playa de la Pared”, Garcey Beach where the great cruise ship American Star was stranded… and thousands of secret corners that you find out in the island after visiting it again and again. Hopefully this four-day tour has helped to awaken the love for this desert landscape so you return to visit us and know Fuerteventura like the back of your hand. Today, on this third day of tour around Fuerteventura, we suggest putting aside sport activities, as we have already had enough of them for the last two days (here we leave you the links for days 1 and 2 of this tour, in case you haven’t read them yet). As Fuerteventura is not only the north, which is what we have been visiting so far, on this third day we suggest a trip to the centre of the island so you meet the inland villages, which keep a great deal of the history of this island. We’ll set off from Corralejo taking the FV-101 towards the centre of the island. The first thing we’ll find on our way will be the small village of Villaverde, on the mountain side of Escanfraga, the highest volcanic cone on the island. 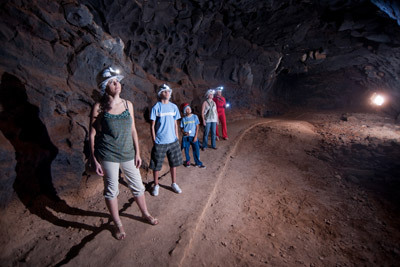 In Villaverde you’ll find the Museo de la Cueva del Llano, an underground lava tube which visitors can go through, provided with helmet and frontal lantern, while guides tell about the volcanic origin of Fuerteventura and the curiosities of this land thousands of years ago. 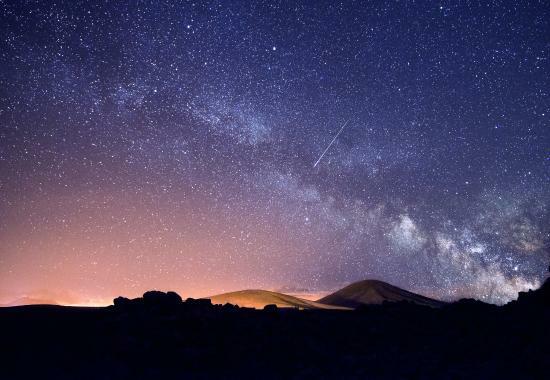 We must highlight that Fuerteventura is the oldest of the Canary Islands and that the last volcano that erupted did it 10.000 million years ago (Monaña de la Arena). From Villaverde we’ll go on inland, passing through the village of La Oliva, which is the head of a municipality in the notth of Fuerteventura, where you can visit “La Casa de los Coroneles”, an ancient fortress from the second half of the XVII century, which today is used as an exhibition hall, showing the life on the island at a time of all-powerful landowners. We keep going southbound, through the village of Tindaya and its holy mountain, which has given rise to many discrepancies at present due to the controversial work which is to be carried out inside it; and from there we go on to Tefia, taking the FV-207 after Tindaya. Once we go past Tefia we’ll take the FV-30 to Betancuria, a quite winding and narrow mountain road, so we recommend extreme caution when driving. The lookout point Morro Velosa (669m), designed by the versatile man César Manrique, will welcome us to let us see one of the most breathtaking views on the island. 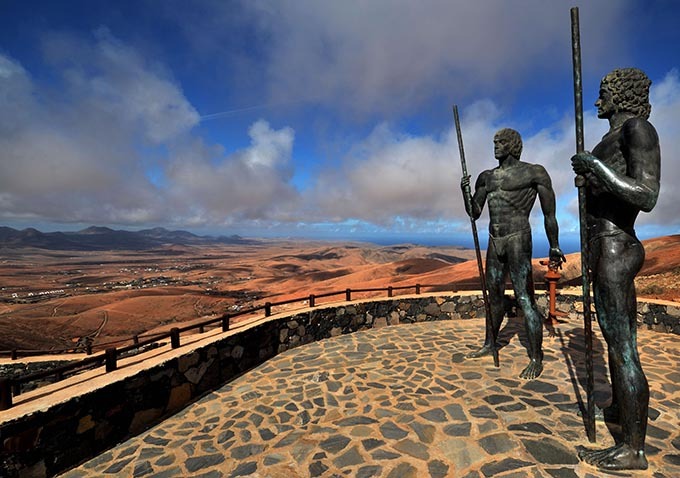 Beside it, we’ll find the statues of Guise and Avose, two ancient warriors who ruled in aboriginal Fuerteventura, when this was divided into two big groups. 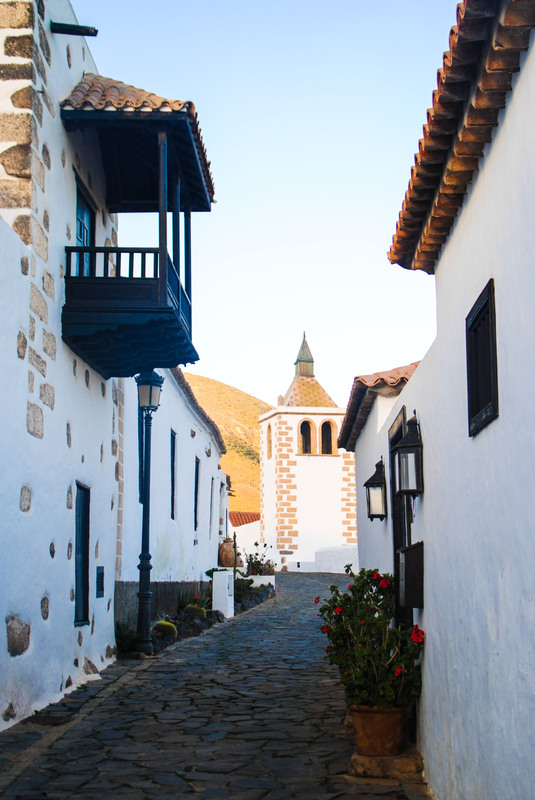 In the valley, Betancuria looks quaint, like a haven of peace and white houses among a green and lush vegetation, very different from the rest of landscapes in Fuerteventura. This greenery and fertility were the reasons why conquerors settled in this land the first capital of the islands, back in the XV century. We must highlight the visit to Santa Maria Chuch-Cathedral, one of the most impressive historic buildings on the island. 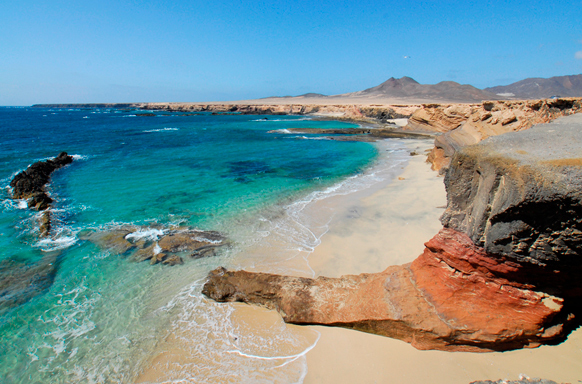 We keep heading south, discovering treasures of Fuerteventura. The next urban core we go through is Pájara, where visitors going on tour from north to south are very common. The shrine of Nuestra señora de Regla, in Pájara, has a precious main altarpiece, restored a couple of years ago by master craftsmen from our island. And from Pájara we’ll head to the Western coast, taking the FV-621, until getting to the little village of Ajuy, a haven for fishermen with a gorgeous black sand beach and stunning caves which tourists can visit following a signposted route along the coastline. Ajuy is a place where throngs of tourists flock to the few restaurants you find in the village to enjoy fresh fish, but if you don’t like crowds we recommend having some home-made rations in Pájara, before getting to Ajuy. And to help digestion, nothing better than going for a walk in El barranco de Las Peñitas , which you can access form the village of Buen Paso (between Ajuy and Pájara). There you find a cliff made of granite blocks, which offers a landscape very different from the rest of the island. Big blocks of granite rise up on the edges of what, no doubt, once must have been a little river, when there was water. Nowadays there is nothing but pools of stagnant water which flow on the rainy days of winter. 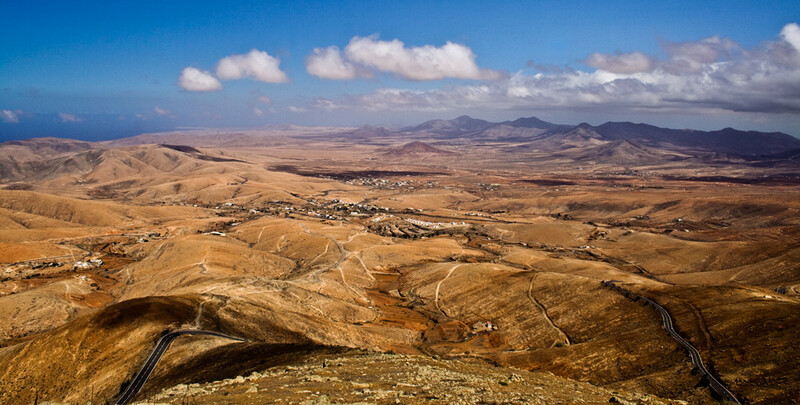 This area of the island is a treasure for mountain climbers, as this is one of the few areas in Fuerteventura where you can climb. 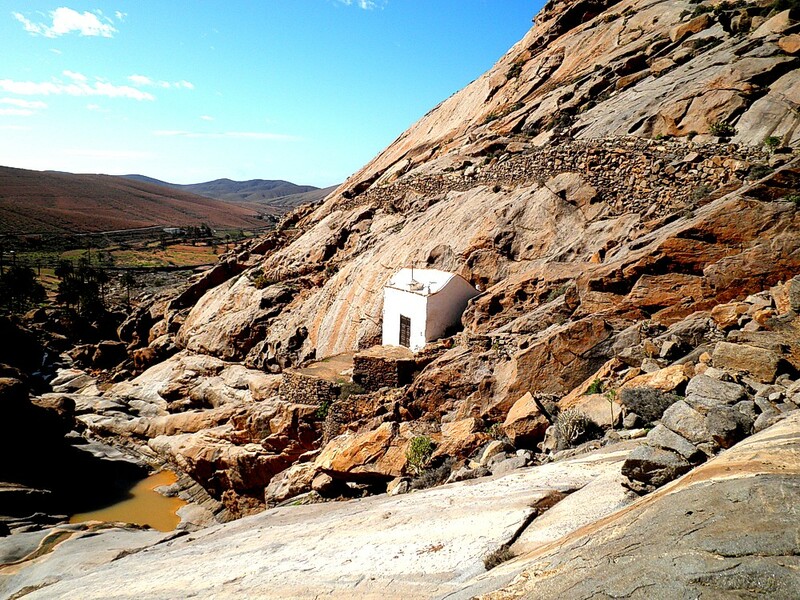 El barranco de Las Peñitas is named after La ermita de la Virgen de la Peña (shrine), placed within it, another story that makes up the past of these lands; and at the highest part of the cliff we find the well known “Presa de las Peñitas”, with no apparent function at present. And after this evening walk it’s time to head back north. This time we suggest taking the FV-30, after Pájara, towards Tuineje and Antigua, to avoid the winding road in Betancuria. 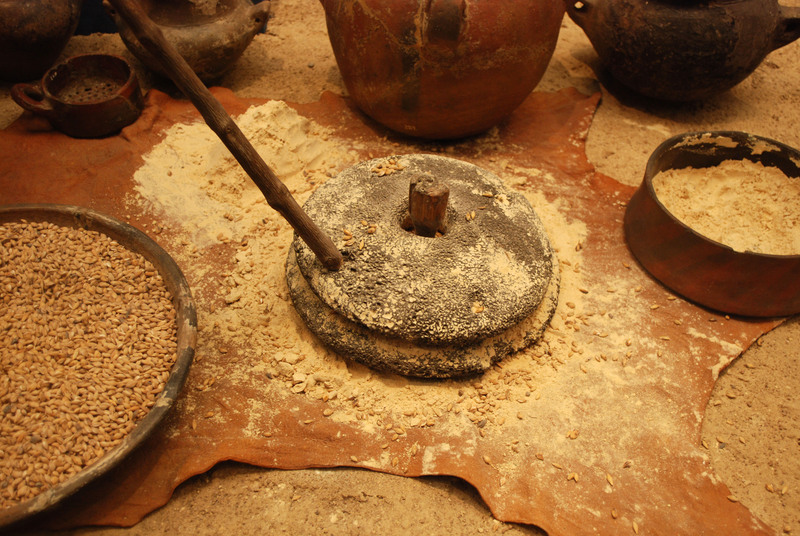 If you have skipped some steps of the way and you have still some time to spare, in Antigua you can visit the “Museo del Queso Majorero”, where you’ll get first hand information about the secrets in the production of such a goat milk delicacy. Have a nice journey back and rest tonight, so as to get ready for the fourth and last day of this tour, when we’ll take you to find out the south of Fuerteventura and its never ending beaches, typical of a paradise whose beauty is beyond our wildest dreams. After the first day in Fuerteventura your energy is renewed; the sun shines for another day in paradise and there are many things left to be discovered. Yesterday you realised the great potential of this island for water sports and we hope the first surf lessons were not too hard and you don’t have an aching body today. (If you haven’t read the plans for the 1st day yet, here’s the link, so you don’t miss a thing on your holidays on the island). 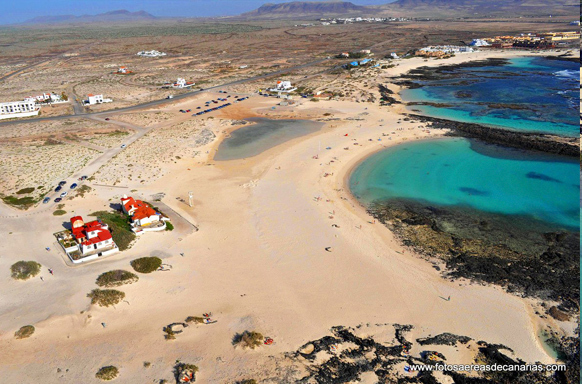 Once you’ve already met Corralejo and its surroundings, the plans suggested for the second day of this tour will have as protagonist the neighboring island of Lobos. 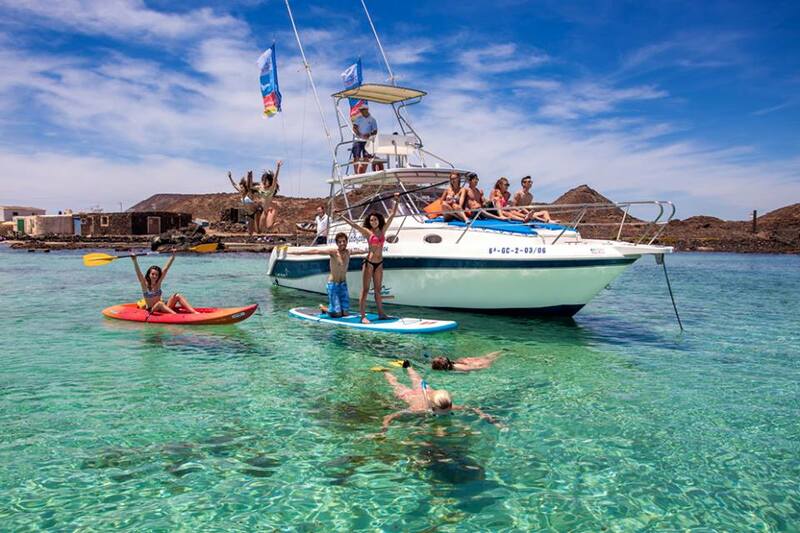 To know it, of course we recommend one of our excursions by catamaran. FuerteCharter tours are very special, as we don’t only take visitors to the nearby island, but we prepare everything very carefully so as to turn this into “your holiday experience”. For fishing lovers, we offer the option of trolling throughout our journey. Let’s see if we are lucky and our wonderful customers get us fresh fish for lunch! • Snorkeling: mask, snorkel and fins to explore the hidden treasures in these warm waters. We also carry bread to attract the fish and take good photos with them. • Kayak: for those with adventure spirit who want to row and get away and discover the surroundings. • SUP: we also have Stand Up Paddle boards and paddles, to teach the rudiments of the sport that is becoming so fashionable. 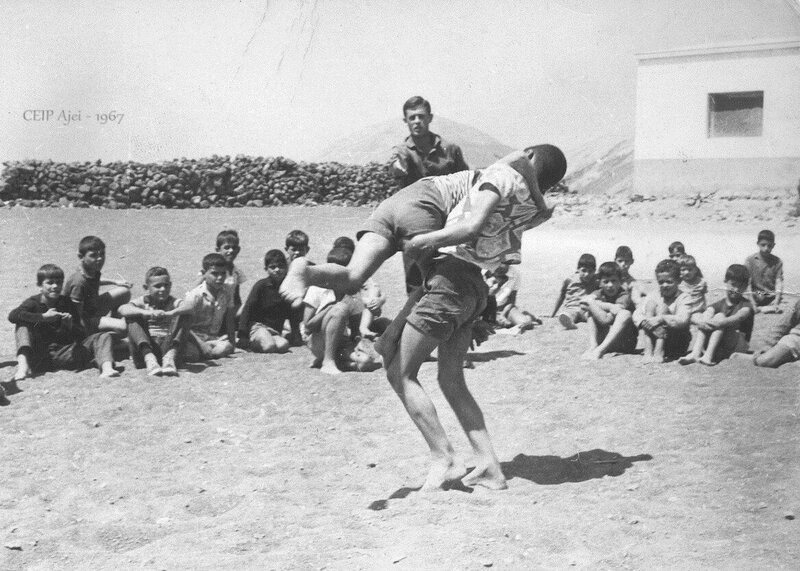 We encourage everyone to try it and have a laugh discovering the limits of their body balance. And filled with physical activity and laughter, we get to the island of Lobos on our semirigid boat. 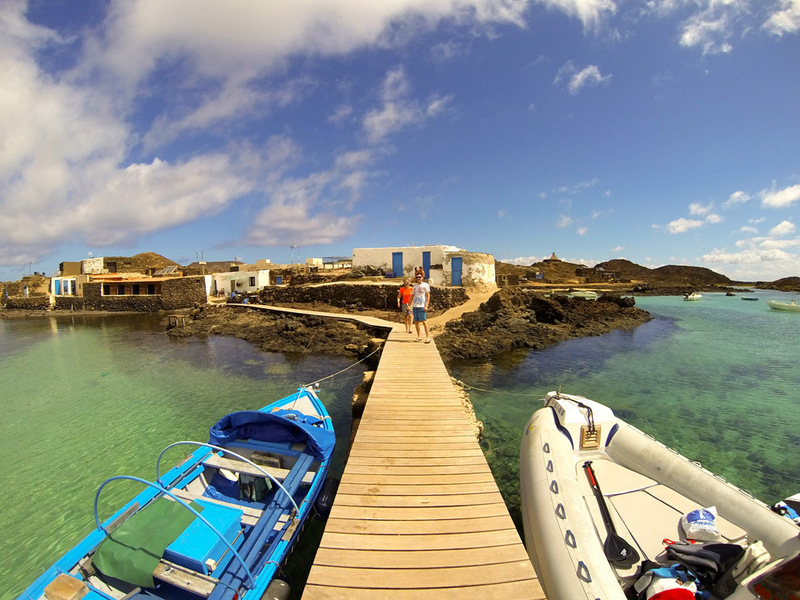 The Little harbour of Lobos, where we set ashore, is a place of outstanding beauty. Turquoise waters whimsically painting the volcanic rock and white sand coast. 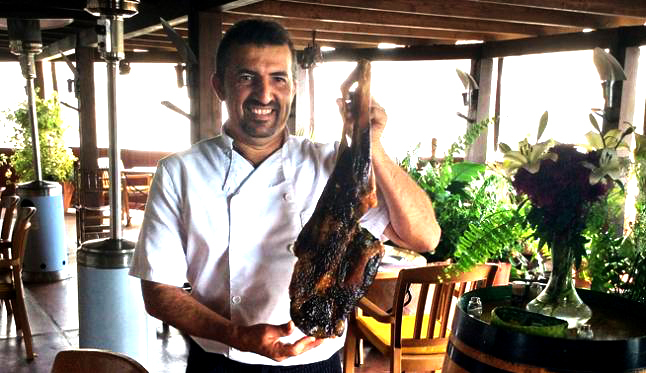 If booked in advance, guests can enjoy a delicious paella or fresh fish in the emblematic restaurant of the island. The return to Corralejo usually starts by approaching the wave of Lobos by boat, one of the best known waves in Europe. And after watching the surfers make a show of their tricks and most refined techniques, we undertake the return to Corralejo Harbour, where we get just in time for lunch. 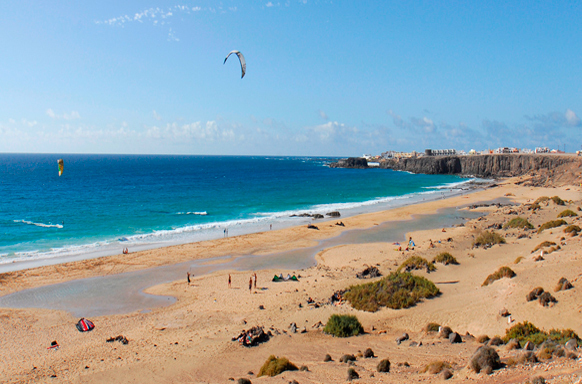 The afternoon plan is dedicated to the town of El Cotillo, so we suggest driving your car in the morning so now you can go to El Cotillo and have lunch in one of the restaurants of this picturesque fishing village where freshly caught fish it is one of the main tourist attractions. 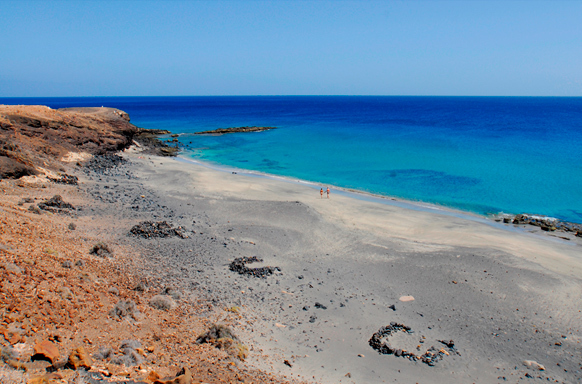 After the delicious meal, we recommend visiting the beaches of Los Lagos, north of El Cotillo, where calm waters lap the golden sand and invite you to a relaxing nap by the sea. When the sun begins to go down, we propose to change beach and watch the sunset at “Piedra Playa”, a beach where the swell is much heavier than in “Los Lagos”, so it is commonly used daily by surf schools and those who practise kite, in windy days. This long beach keeps a secret in itssouthernmost part, its cliff is made of clay, you can take into your own hands, mix it with water and enjoy a mud bath, natural spa style. The results on the skin are amazing! 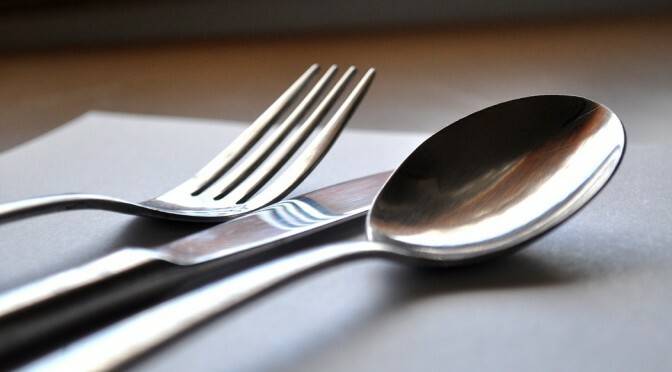 And as you are already in love with Fuerteventura and its beaches, and it’s already getting dark and tomorrow we must continue discovering secrets, it’s time for a quick dinner and sleep to restore energy. 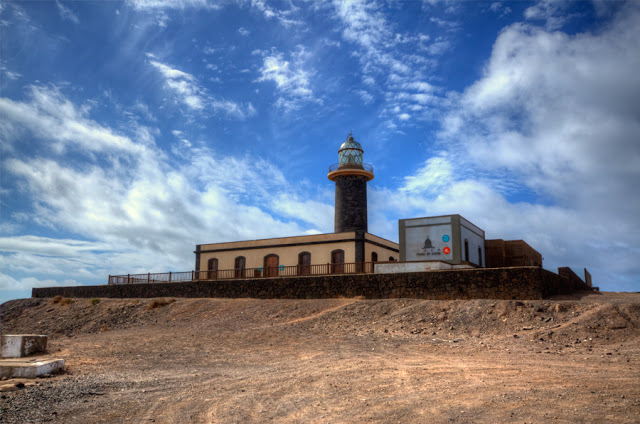 Tomorrow promises to be interesting, a trip to the center of the island to discover the inland villages, including Betancuaria, where the conquerors decided to settle the first capital of Fuerteventura. We’ll keep telling you about the remaining two days in future articles on our blog. All peoples have their legends, stories surrounded by mystery and magic; the archipelago of the Canary Islands, so special, has its own legends, including that of the “island that appears and disappears,” the legend of St. Borondón, “the other Island “. It would be located west of El Hierro; that’s why we, in our trips to Lobos Island from Corralejo, have never seen it; yet, we’ll tell you the legend. Difficult to build accurately due to the number of stories that have survived to date, we’ll approach the most common version of the mysterious island. If you have spent some time in the Canary Islands you’ll have heard of the “eighth island” on some occasion, the island that appears and disappears in a sea of ​​clouds and even, in the past, its coordinates were given, at the western end of the Canary Islands near El Hierro, and it could be observed from the highest spot inTenerife, El Teide. 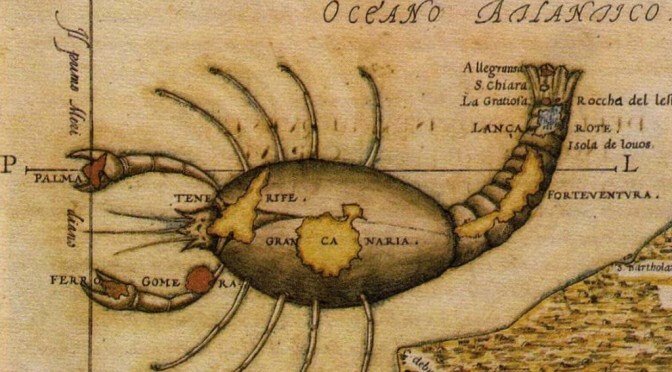 It was drawn on several maps of the time that give us its location, in fact there are several versions but all of them place it near El Hierro. 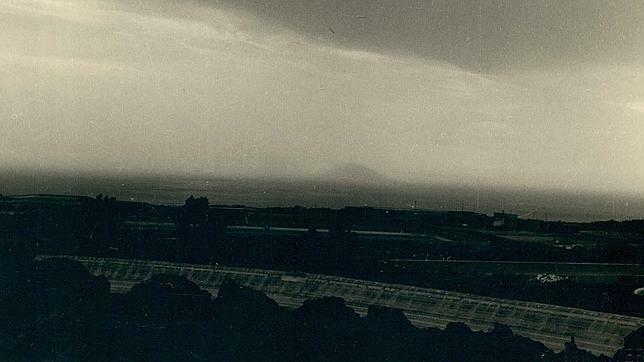 Even in official investigations in the eighteenth century by the authorities of the island of Hierro, dozens of witnesses claimed to have seen the phantom island from the summits of El Hierro. 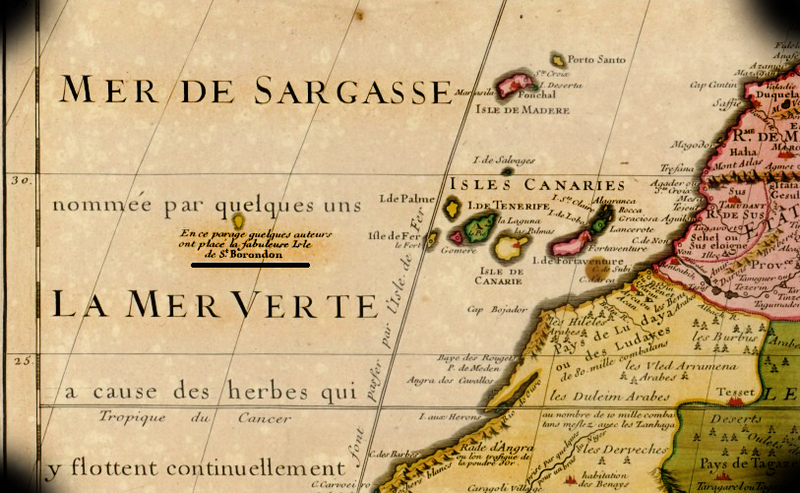 As a result an expedition departed from Santa Cruz de Tenerife in search of this island. So yes, they were many the Canary Islands’, Portuguese and Spanish sailors who ventured to the search of this phantom island, the covert, lost or not found island. The island was named after the Irish monk St. Brendan of Clonfert, who in 516 starts a sea voyage with the aim of ​​bringing its faith to all corners of the world. So, together with other monks, he embarked on a small ship to cross the Atlantic Ocean in search of The Earthly Paradise. Several legends say that he and his crew faced incredible dangers, storms, sea monsters never seen. Amid this complicated voyage, across an unknown ocean considered as dark, they spotted an island where they decided to search for food and step ashore to rest. According to those stories it seems that while celebrating mass they began to notice that the ground was shaking. Gripped by fear, they ran back to the boat and sailed away from that misterious island they considered as a huge whale or a great sea monster that started moving and disappeared. No one else has ever stepped back on that island although there are many who claimed to have seen it in the distance. 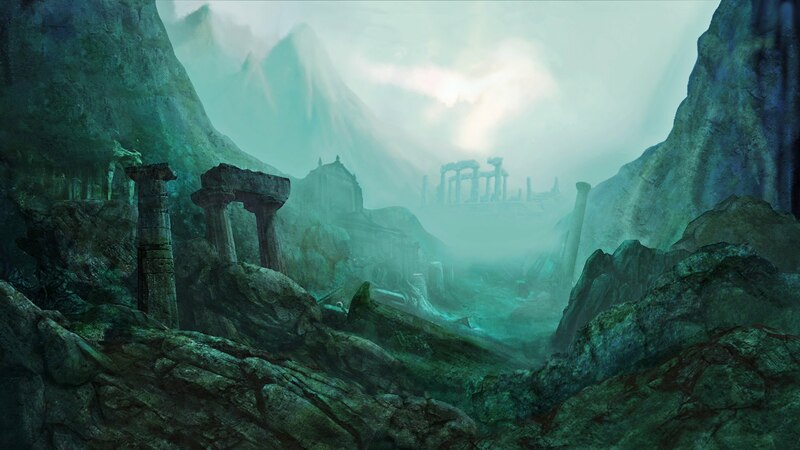 From the XVI C. this phantom island has been the protagonist of romances, stories, poetry and songs that have fed the legend and made it reach our days well alive. Even the historian Abreu Galindo ventured to give its coordinates: northwest of the island of El Hierro (10º 10 “length and 29º and 30′ latitude). 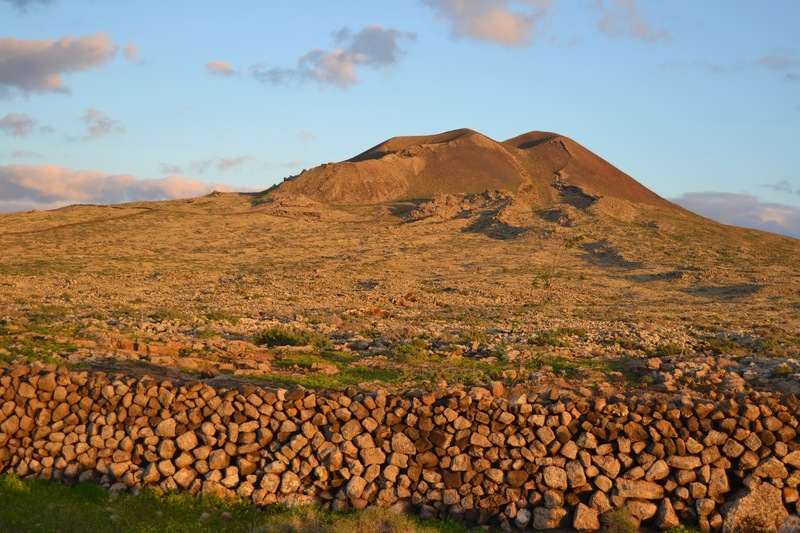 The mysterious island of San Borondon’s is one of the most living and rooted legends in the Canary Islands, especially on El Hierro due to the proximity of its possible existence. We, who every day sail the waters of Fuerteventura in our trips from Corralejo to Lobos Island, still haven’t seen it, possibly because we are on the other side of that island and it’s many the kilometers that keep us apart. Still, as intrepid sailors, we never forget that the “other island” may come and go at any time, a day like today. You wake up early in the morning, at around 8am, startled because the alarm clock hasn’t gone off, and suddenly you realise you don’t have to go to work. “Uff,” a sigh of relax. You are in Fuerteventura! Your holidays have started, the sun smiles at you when opening the curtains, the sea calls you from the promenade of Corralejo, you have a thousand things you want to do in four days, because you come stressed from the city and are eager to discover this paradise. 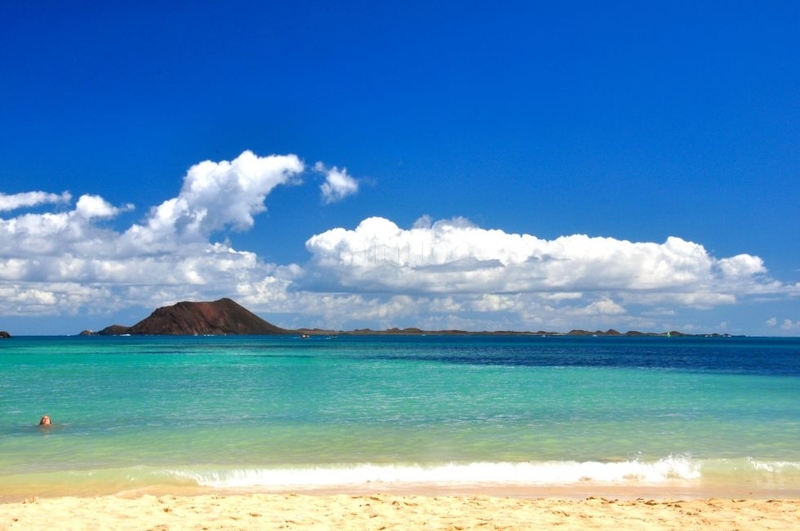 You get hold of plans, flyers, magazines that suggest different activities and places to visit in Fuerteventura, and everything seems wonderful: the day is missing hours to have enough time to see everything. 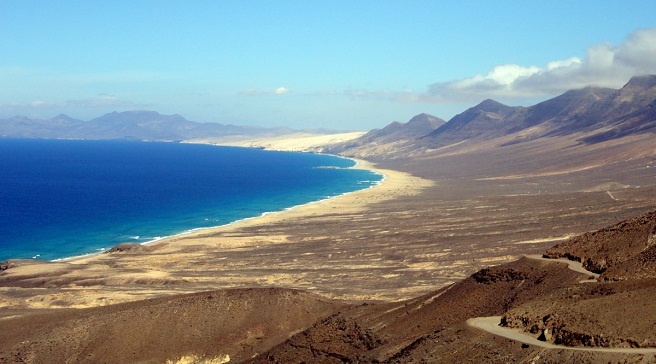 So here we organize a four-day tour, so you don’t miss the exceptional corners of Fuerteventura. To start with, a good breakfast, that you’ll need if you want to gather the necessary strength to withstand so many emotions. One of the main attractions in this island are the water sports you can practice in it, so what better than surfing lessons to become familiar with this wonderful ocean and look after yourself by doing some sport? Surf schools on the island will take you to the spots matching your level of requirements, and in all of them you’ll fully enjoy the benefits of this healthy sport: especially in beginners, it encourages laughter and good relations. 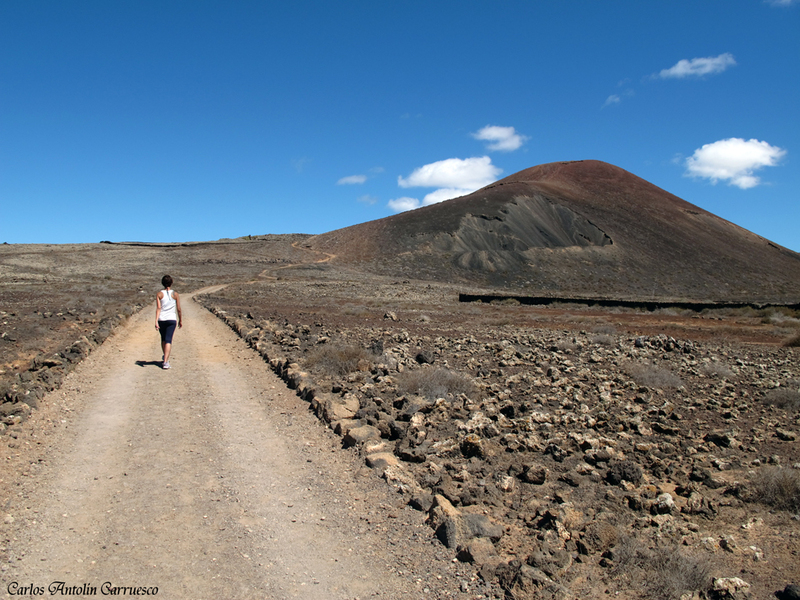 After your morning sport session, and after a copious lunch, we suggest, if you are an active person, to visit one of the volcanoes in the north of Fuerteventura. 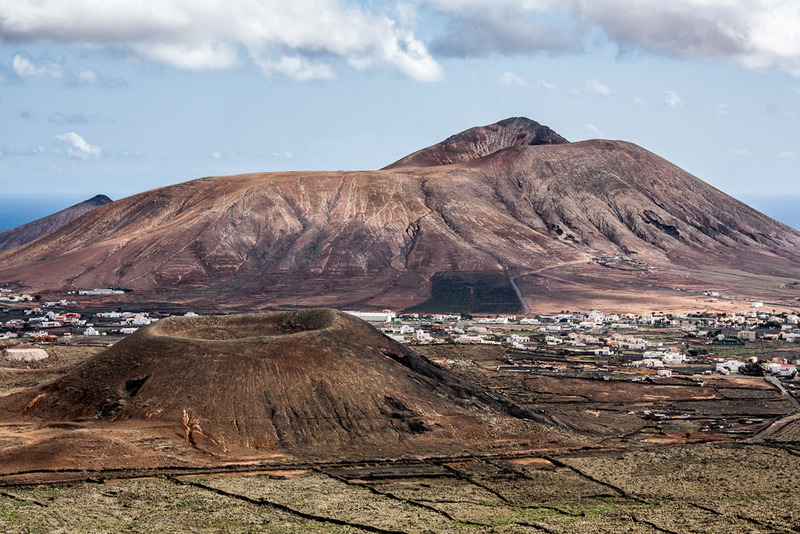 For us, the most spectacular one is the Calderon Hondo Volcano, in the village of Lajares, with its perfect round cone and views of the north of the island; but if you don’t want to leave Corralejo, another good option is Morro Francisco, from which you can observe Corralejo, Lobos Island and Lanzarote. If on the contrary you are one of those who enjoy relaxing in the sun, you can let your friends go and see the volcanoes and you take the opportunity to swim and lie in the sun on Grandes Playas, Corralejo, one of the most spectacular beaches on the island, where turquoise and crystalline waters bathe the golden sand at the pace of rest you need. To end the day, when your friends come back from the volcano, you can go and watch the sunset on the impressive dunes of Corralejo, right opposite Grandes Playas. The landscape of this Natural Park, with the evening light, is something highly recommended, it seems as if you were in the desert, at that time when the sun no longer glares, and the shadows of the small clouds and bushes draw whimsical silhouettes on the sand. And to celebrate your first day off, go and savour a delicious dinner in some of the hundreds of restaurants in Corralejo, where you’ll find offers for all tastes and budgets; and after dinner, at most one drink and go to bed because the following day is again another adventure of emotions in paradise and you must be prepared. As a preview of your second day of holiday we can advise a trip to the island of Lobos, with our FuerteCharter tours, but we won’t anticipate anything else; we’ll tell you about the second day in our next post. It’s several the spectacular landscapes in Fuerteventura; one of them is Cofete, an amazing beach in the southwest of the island, away from everything, still unspoilt despite the tourist development and where we only find cement in a village, an old abandoned cemetery on the beach and Winter’s House. It is this palace which amazes visitors when they get to this spot and realise, at a glance, the majesty of this house, located in such a special place. 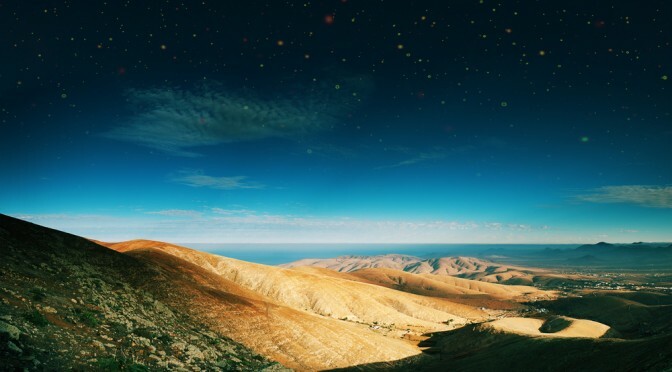 To reach Cofete you must invest at least 30-minute drive along a track going from Morro Jable to Punta de Jandia, and halfway you will find a detour to the right that is the only path. 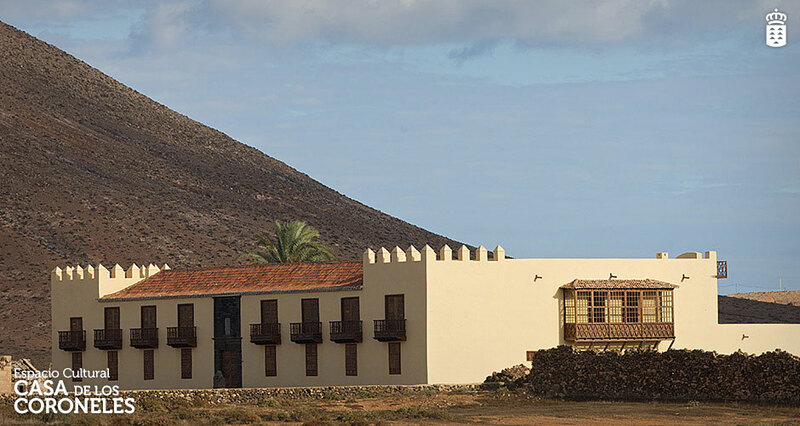 In this place, away from everything, this mansion was built between 1940 and 1950 at the foot of the Pico de la Zarza, which, because of the spot where it is located and also because of its weird construction, it is today one of the most famous mysteries in Fuerteventura. The protagonist of these stories is a German engineer, Gustav Winter, who arrived in Spain in 1915. Coinciding with the outbreak of World War I Gustav returned from South America, but he was captured by a British ship and imprisoned for a year for being a potential German spy . He manages to get away and get on board of a ship that will allow him to disembark in Spain. 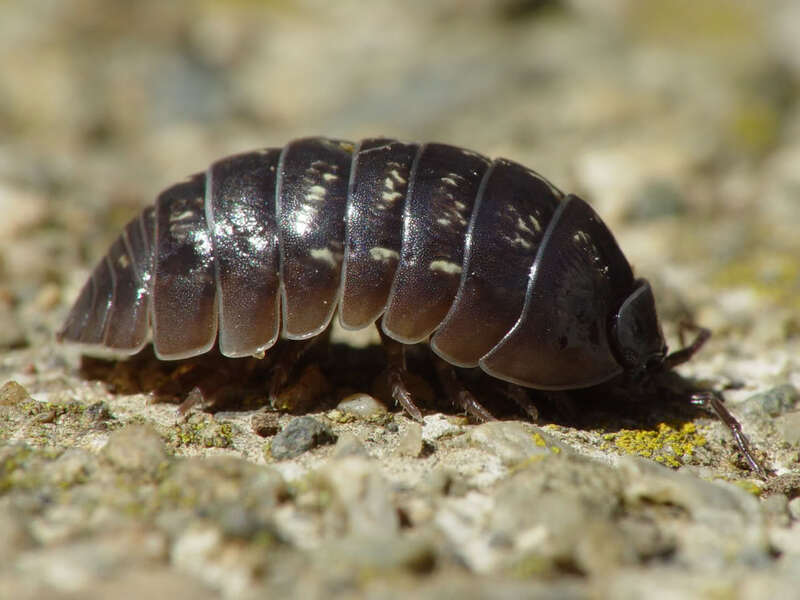 In our country he works as an engineer building thermoelectric plants in various cities until in 1925 he moved to the Canary Islands, first to Gran Canaria, where he got involved in initiating La CICER. 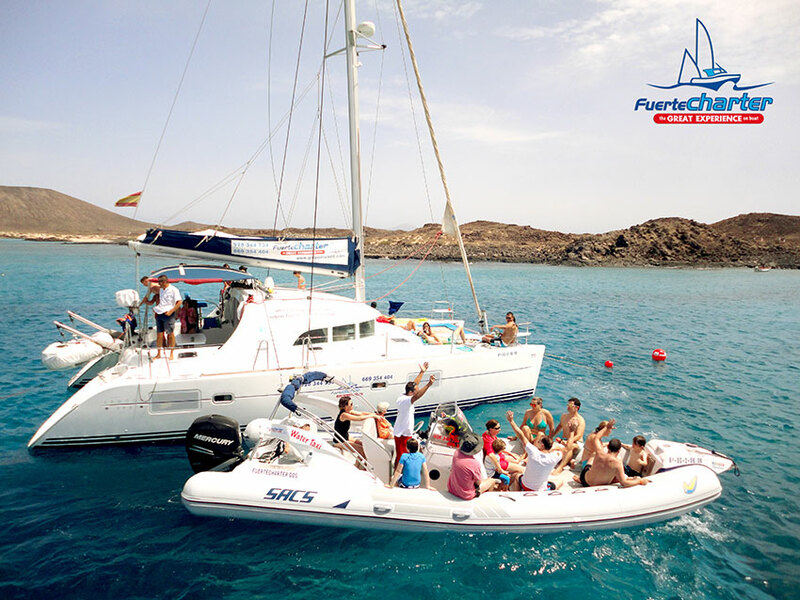 In his spare time he enjoyed his sailboat sailing around the Canary Islands and that’s how he got to Fuerteventura. 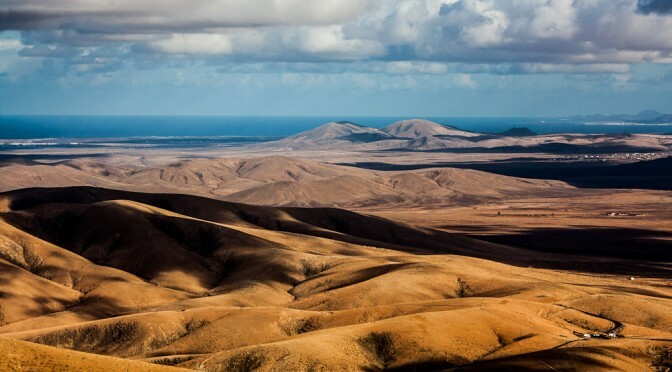 Gustav “the German” leaves Gran Canaria and moves to Fuerteventura, where he acquires the Jandía peninsula, in the south of Fuerteventura, the largest rural property in the Canary Islands, with 180 km2 in an almost desert place. During World War II he was recruited as an engineer for the German Navy in Bordeaux and when the Germans withdrew from France, he had to take refuge in Spain for the second time. 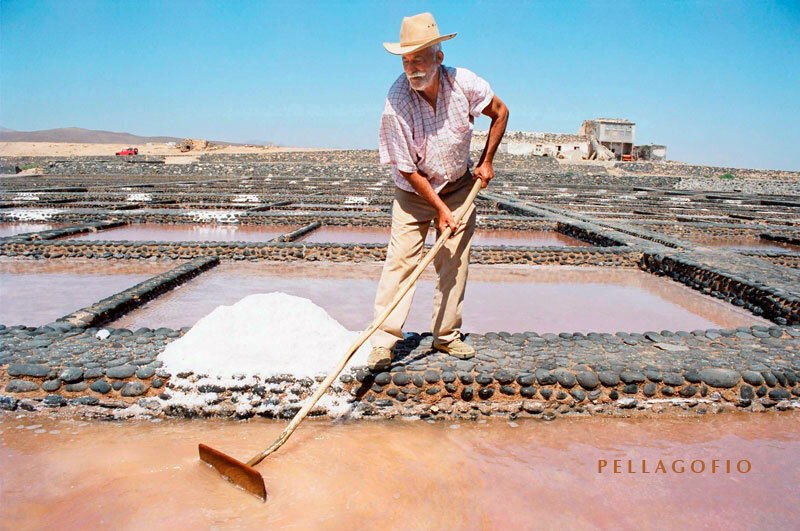 In 1947 he returns to Fuerteventura with enough money to complete his work and he devotes to exploiting the land by growing tomatoes, alfalfa and raising cattle to market cheese and wool. Years later, already nationalized as Spanish and after the improvements that had been introduced in the area, Gustav tries to develop tourism, attracting German entrepreneurs to the coast of his island. In 1966 he built the first hotel in the south in the middle of a desert and, little by little for nearly 40 years, speculation and support by the government have turned what was once a desert paradise into a hotel area, favorite destination of Germans; but thanks to the Law of Natural Spaces of the Canary Islands, in 1987, places like Cofete remain intact, sidelining the destructive hand of cement. The famous Winter’s villa has been depicted in several novels because of the mysteries surrounding it. It is said that it was built to provide shelter and to supply the Nazi submarine fleet during World War II, which would access the palace through tunnels that have never been found. It is also said that this house was a refuge for Nazi officers during the war to celebrate ostentatious parties; and it was even said that it could have been a shelter and residence of some German high officer, hidden by the Spanish soldiers, who supported the totalitarian regimes of the time. All these mysteries grow when visiting the house: the floors seem hollow and there are walled-in doors; there is also a turret looking like a lighthouse. It must be said that the Winter family never inhabited this house, as their usual residence was ” El Caserio del alemán”, a estate in the upper area of ​​ Morro Jable. The descendants of Gustav Winter deny all these rumors, especially because the house was not built until 1947, but the historical memory of the area recalls that in 1940 its construction had already begun. 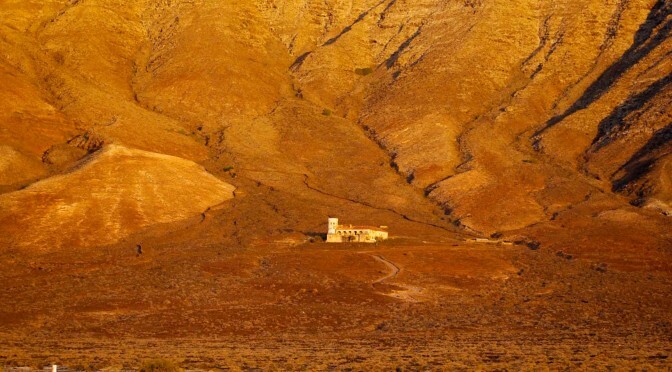 Winter’s villa, located on such a virgin and desert area of Fuerteventura, still brings more magic and mystery to this spectacular place: the beach of Cofete, we insist, worth to admire and enjoy, like so many other wonderful places on this island.